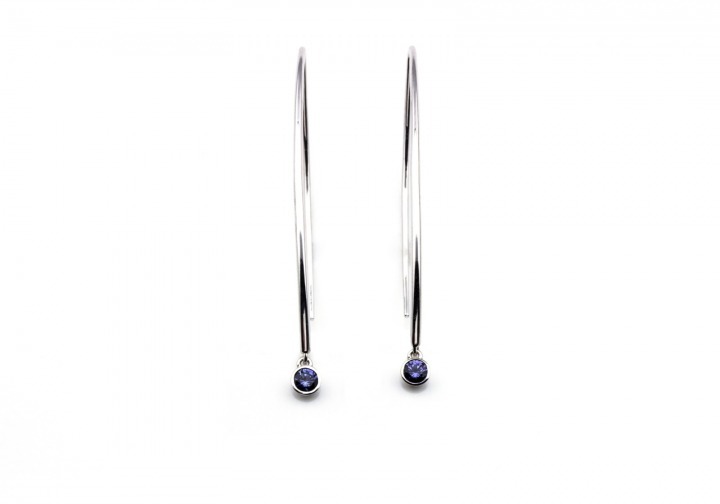 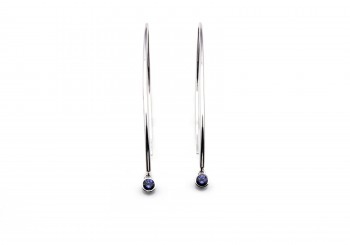 These modern earrings are 14K white gold and feature two Yogo Sapphires. 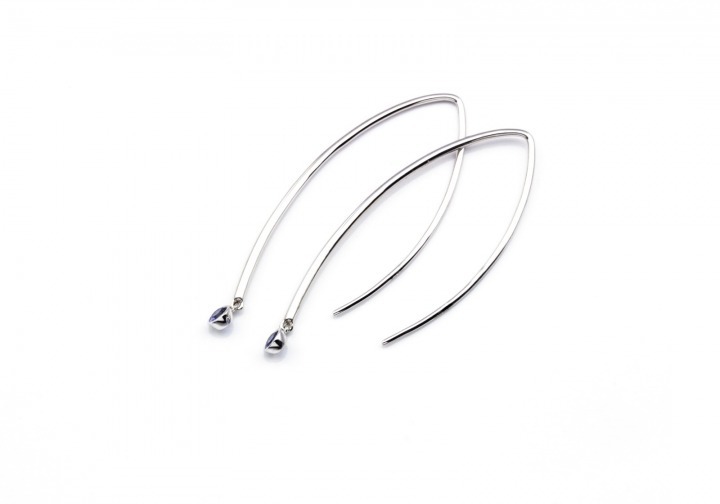 Simple, elegant, and the perfect accessory for any style. A simple 14K white gold and Yogo Sapphire pendant is the best compliment to any outfit.